If you ask anyone on the Bridebook team (the gentlemen included!) what their favourite thing about planning a wedding is, creating a gorgeous wedding website is sure to be high on the list. There is something so exciting about being able to combine the romance of your story with the efficiency of a website! So when we had the chance to chat with the ultimate pros in the personalised website business, we were very, very excited. 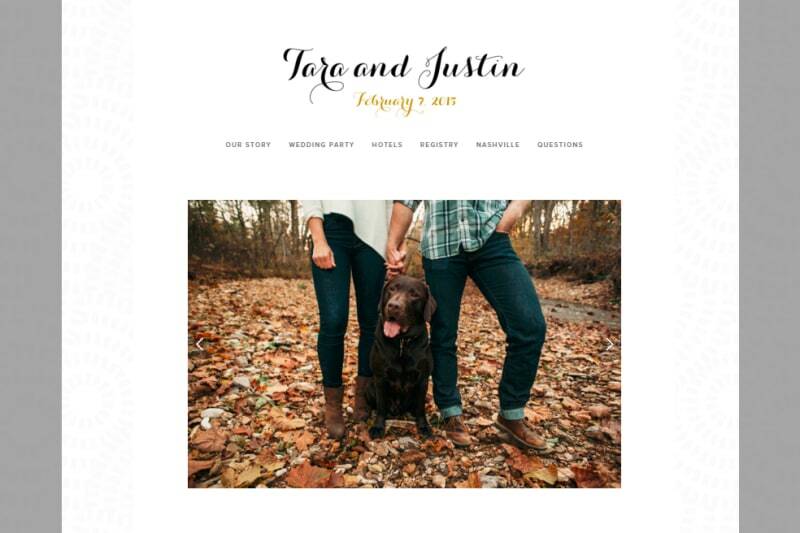 Here Squarespace spills all on how to approach putting together your very own wedding website. We hope you enjoy – we sure did! You’re a 21st century couple planning a 21st century wedding — complete with all the romance, elegance, and charm that a perfect website can provide. 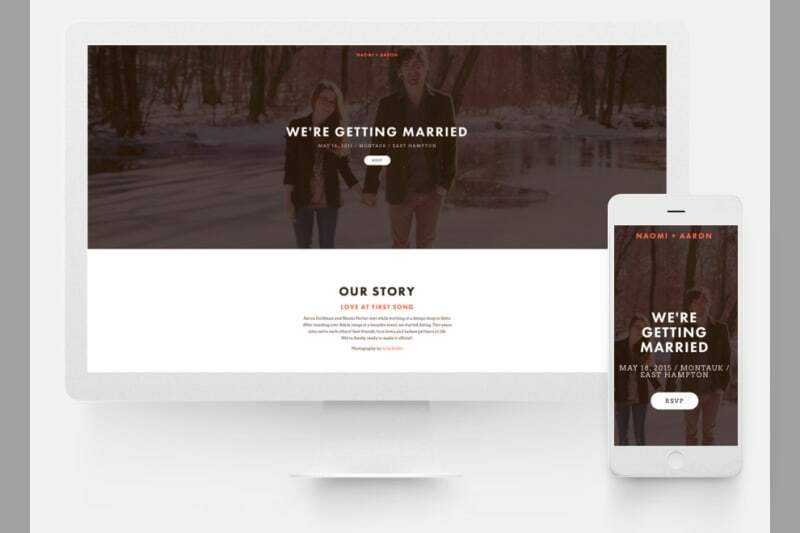 In this digital day and age, the wedding begins before your big day, and with easy website building platforms like Squarespace, you can create a one-stop destination that takes all the guesswork out of this exciting (yet occasionally stressful) time. A wedding website is the perfect place not only to document memories that will last a lifetime, but also a great way to collect RSVPs, mailing addresses, share information, and even create a customised gift registry. With Squarespace, you can turn your love story into a website — one that can be easily shared with your closest friends and family. Turn your love story into a website that you can share with the whole family. 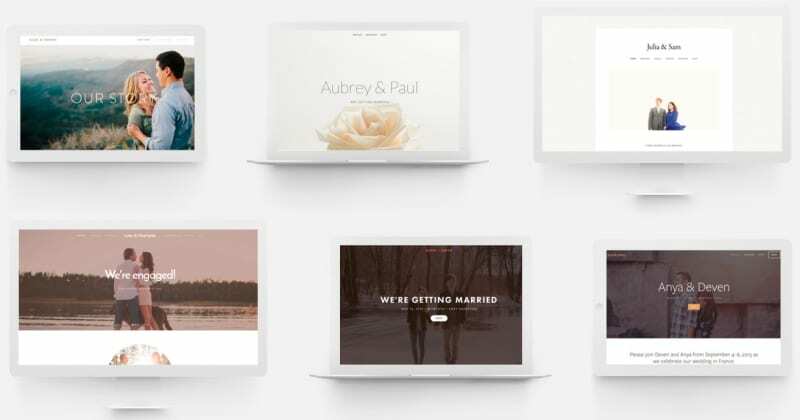 With six beautiful templates dedicated to weddings, Squarespace is sure to have the right starting place for you and your partner. Best of all, you can always change your mind, so whether it’s love at first sight between you and your template or a more gradual relationship, you’re sure to end up with the right one. Six beautiful templates to choose from, each ready to make your own. All our templates are designed to play host to your stunning photographs, so put those engagement pictures (and all the other photographic evidence of your relationship) to good use during this time. From your first date to the day the big question was popped, your Squarespace site will serve as a beautiful digital album for everything leading up to, during, and even after your big day. Have Your Guests RSVP Online. Not only is it environmentally friendly but it’s also much easier to keep track of digital RSVPs rather than paper invitations. With Squarespace’s elegant form options, you can customize an invitation that seamlessly provides you with all the information you need including meal preference, dietary restrictions, date’s name, and so much more! Your wedding website should be as practical as it is gorgeous. Make the days after your wedding even happier with great gifts from your thoughtful guests. Let them know what you need most — whether it’s donations to your new apartment fund, a new set of knives, or even a honeymoon, you can set up a donation block or integrate your Squarespace site with wedding registries. Don’t forget one of the best parts – gifts! Eager to get started on your wedding website? Visit Squarespace to start obsessing over all those gorgeous details (we know you want to).